You could be doing anything in the world but having clean drinking water is one of the most essential things in the world. Whether it’s travelling, changing locations or going to a new home, a gadget or two that might help clean the water you’re carrying could do wonders for you. For a healthier lifestyle where you never have to worry about being under the influence of unhealthy water, here are top five (5) amazing portable gadgets that will clean your water and make it safe to drink whenever and wherever you want. After being produced from a Kickstarter campaign that became wildly successful, GRAYL Ultralight bottle turned out to be one of the easiest and amazing gadgets to get clean water through. All a user needs to do is open the lid of the bottle and fill some water in it from whichever source they please. The moment the filtering tube is placed on the top of the bottle, the water gets pushed through a filter made of carbon, and the resulting product is clean and pure drinkable water. It takes no longer than 15 seconds to go through the entire process, so it is not only the simplest but one of the quickest methods of water purification. This gadget can clean a litre of water in a minute and isn’t even difficult to carry. Light and easily adjustable, the KATADYN Hiker Pro Micro Filter is certainly every camper and hiker’s dream come true. The simple system of filtering the water is capable of getting rid of chemicals, bacteria and any harmful micro-organisms. The best part is that the materials that make the water taste bad can also be easily eliminated, so you don’t have to taste clean yet badly flavoured water on your journey. KATADYN is especially useful during long road trips. 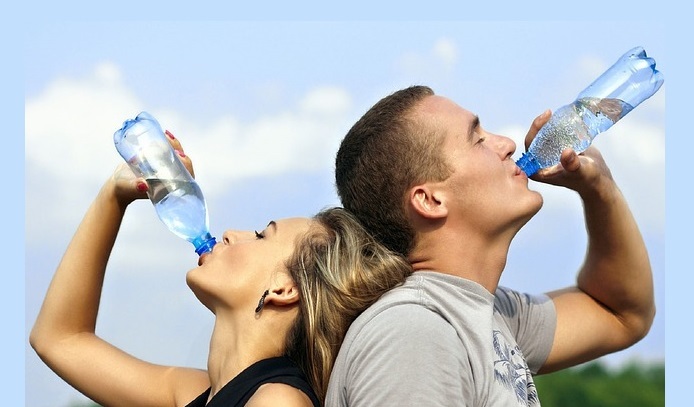 To know more visit SoftWaterFiltration. Although it is quite large and weighs more than other water filtering gadgets meant for travelling, the MSR Guardian delivers the best. Quick and completely effective at once, this gadget is capable of filtering 2.5 litres of water by the minute, eliminating all traces of harmful substances like bacteria, microorganisms, viruses and protozoa etc. It has a greater lifespan than any other device and ensures maximum purity and cleanliness of water. Travelling to remote locations while carrying this gadget can prove especially helpful as it can survive the worst of weathers and natural conditions. A bit unconventional and different from other water purification systems, the STERIPEN Ultra cleans water through the method of ultraviolet rays which kill 99.99% of the dangerous bacteria and material that are found in water from natural sources outdoors. The process of purification is also rather simple, that of filling a bottle of water and turning on the STERIPEN before placing it into the water. Stirring it for a few moments until the gadget informs you to stop ensures that you get perfectly clean water instead of anything that would cause harm. Though a bit pricey, STERIPEN Ultra is surely worth all the money. Lifestraw was designed as an alternative to expensive water cleaning gadgets in developing regions of the world. Using Lifestraw gets the water rid of 99.9% bacteria of all kinds through the filters installed in it. It can successfully destroy the kind of protozoa that can be found in streams, rivers and lakes. Users are allowed to drink the clean water through a safe straw, so they can drink from whatever source of water available pretty quickly. Lifestraw is just as effective as it is inexpensive. Backpackers and frequent travellers find Lifestraw to be a rather perfect solution to their water problems. With these revolutionary products and technology to help you out with your journey, clean and drinkable water is no longer hard to find.